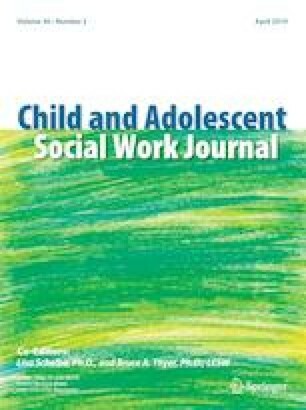 The purpose of this study was to use structural equation modeling (SEM) to identify predictors of preschool enrollment among 3- and 4-year-olds in families of Hispanic WIC participants in Los Angeles County (N = 1349). Potential predictors included maternal education, maternal employment, home literacy environment, child’s age, and barriers to childcare. Results indicated that barriers to childcare and child’s age were positively related to preschool enrollment, whereas factors such as maternal education and home literacy environment did not significantly predict preschool enrollment. Based on these results, we suggest that efforts to educate families about the importance of preschool be combined with making preschool more financially and physically accessible to low-income families. Christina Schonberg and Brianna M. Goodale are co-first authors. Funding for this project was provided to Christina Schonberg by First 5 LA through the PHFE WIC 2015 Summer Data Mining Fellowship. The authors would like to thank Lu Jiang, Shannon Whaley, Natsuki Atagi, and Catherine Sandhofer for feedback on earlier drafts of this manuscript. All procedures performed in studies involving human participants were in accordance with the ethical standards of the institutional and/or national research committee and with the 1964 Helsinki declaration and its later amendments or comparable ethical standards. For this type of study (i.e., secondary data analysis) formal consent is not required. Child Trends DataBank. (2015). Preschool and prekindergarten: Indicators on children and youth. Retrieved from http://www.childtrends.org/?indicators=preschool-and-prekindergarten. Fitzpatrick, M. D. (2008). Starting school at four: The effect of universal pre-kindergarten on children’s academic achievement. The BE Journal of Economic Analysis & Policy, 8(1). https://doi.org/10.2202/1935-1682.1897. Kidsdata.org. (2014). Annual cost of child care, by age group and type of facility [Data table]. Retrieved from https://www.kidsdata.org/topic#cat=18,19. Los Angeles County Department of Public Health. (2005). The Los Angeles County Health Survey. Retrieved from: http://www.publichealth.lacounty.gov/ha/hasurveyintro.htm. Lucile Packard Foundation for Children’s Health. (2015). Children ages 3–5 not enrolled in preschool or kindergarten, by race/ethnicity (California & U.S. Only). Retrieved from: http://www.kidsdata.org/topic/769/no-preschool-race/table. Public Health Foundation Enterprises WIC Program. (2014). The Los Angeles County WIC survey. Retrieved from http://www.lawicdata.org/survey/. R Core Team (2013). R: A language and environment for statistical computing. R Foundation for Statistical Computing, Vienna, Austria. Retrieved from http://www.R-project.org/. Rosseel, Y. (2012). lavaan: An R Package for Structural Equation Modeling. Journal of Statistical Software, 48(2), 1–36. Retrieved from http://www.jstatsoft.org/v48/i02/. semTools Contributors. (2015). semTools: Useful tools for structural equation modeling. R package version 0.4-9. Retrieved from http://cran.r-project.org/package=semTools. United States Department of Food and Agriculture Food and Nutrition Service. (2015). WIC income eligibility guidelines. Retrieved from: http://www.fns.usda.gov/wic/wic-income-eligibility-guidelines. Zaller, A. (2014). Five issues California employers should review before the minimum wage increases July 1, 2014. California Employment Law Report. Retrieved from: https://www.californiaemploymentlawreport.com/2014/06/five-issues-california-employers-should-review-before-the-minimum-wage-increases-july-1-2014/.